When you’re constantly on the go, you need healthy food to refuel and to keep you going. 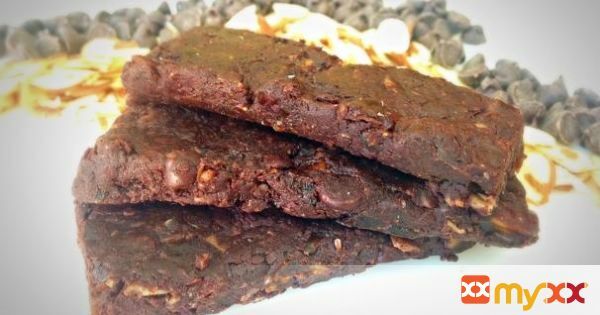 These raw energy bars are packed with protein and fiber as well as other nutrients, so you can feel good about what you’re eating, and get through your day. 1. Line a loaf pan with parchment paper or plastic wrap. 2. In a food processor combine all ingredients. 3. On high, process for 20 seconds. 4. Remove from food processor and press into loaf pan (tip: use another loaf pan on top, and press down to get an even distribution). 5. Put into the fridge for an hour.